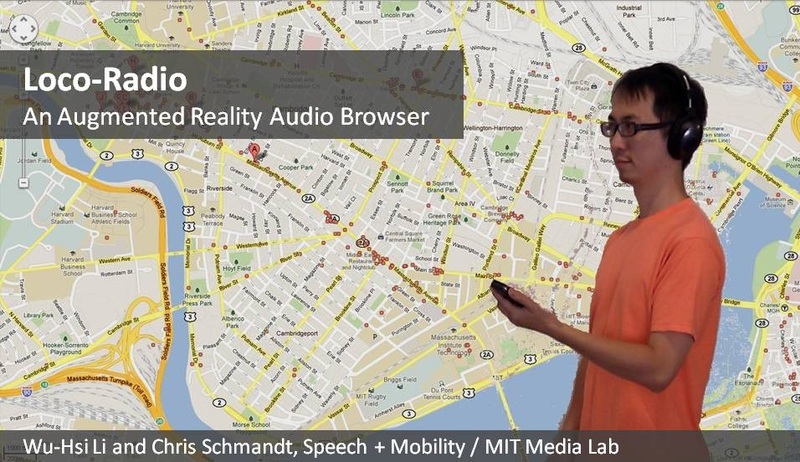 LocoRadio is a mobile, augmented-reality, audio browsing system that immerses you within a soundscape as you move. To enhance the browsing experience in high-density spatialized audio environments, we introduce a UI feature, "auditory spatial scaling," which enables users to continuously adjust the spatial density of perceived sounds. The audio will come from a custom, geo-tagged audio database. The current demo uses iconic music to represent restaurants. As users move in the city, they encounter a series of music and the perception enhances their awareness of the numbers, styles, and locations of nearby restaurants.